Ingenium believes that systems should be compatible with other brands, we have designed our own communications protocol, BUSing®. 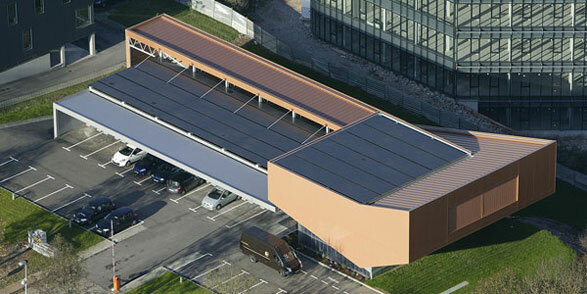 Therefore, this gives the client the choice of which products to employ or add to an installation. Ingenium collaborates with other manufacturers to integrate their products with BUSing®. 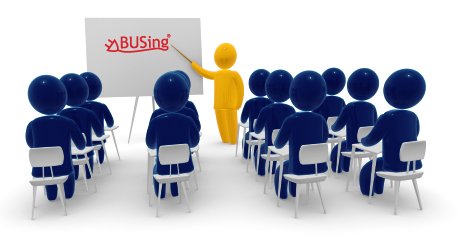 We also offer courses in BUSing® software programming to any electrician or installer who wishes to learn more about BUSing® and work with our products. 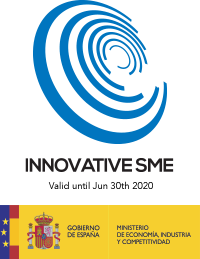 Ingenium was founded in 1998 in Oviedo, Asturias. The primary thought was to manufacture for one of the two protocols already on the market: KNX® or LonWorks®. However, the founding engineers soon realised that such a move would make their products, expensive and their idea was to make smart systems affordable. The result was the creation of their own protocol, BUSing® which they have made a point of keeping royalties-free and open to other manufacturers. Over the past years, the resulting R+D work has lead to a product range that has increased to some 100 devices and are now available to work either on cabled or wireless BUSing®. Their prized creation was the SR: a hidden 360º movement detector which has won continued popularity since its launch in 2001. BUSing® is the first distributed communications system designed entirely for home automation and building automation applications. It is therefore a complete control system adaptable, for performance and cost, both to simple houses than to complex buildings through an infinite range of possibilities. The control possibilities of this system in houses ranges from the typical technical alarm management application, to more advanced home automation applications such as lighting control, blinds control, climate control or irrigation, IP cameras control, special lighting or audiovisual systems management. In BUSing®, each of the connected devices has its own autonomy (micro-processed devices) and reach global sense for belonging to a system that includes and makes it part of a much more “powerful” set. BUSing® is an open system, this means that anyone can develop devices without paying any royalty. BUSing® Development System (SIDE) is a fully intuitive software that enables programming of any home automation installation, both of actuators and interfaces. Ingenium offers courses in BUSing® software programming to any electrician or installer who wishes to learn more about BUSing® and work with Ingenium products. In our headquarters we have an specific training room, where periodically our technicians impart the necessary courses to learn how to install and program any Ingenium device. Completion of the course is a prerequisite for anybody who wants to install Ingenium controls, without which they will not be entitled to technical support and Ingenium will not be held responsible for any installations carried out by unqualified installers. Courses are available in Spain and at approved official BUSing® Centres abroad. Please contact us if you would like more information or attend our courses. Elemental BUSing® Certificate Course for installation and basic programming of our products. Qualification aimed to electricians or installers BUSing® experts to accomplish advanced automation installations. Certificate that enables BUSing® teach courses, authorized by Ingenium. Ingenium understand the associations as a powerful weapon to structure the expansion of home automation in today’s society. Because personality and tastes should be reflected in the environment. Because day-to-day demands require a habitat ready for rest and relaxation. Because the tranquility and safety are our main aims of the present and future. Because energy is a limited resource we have to use it responsibly.